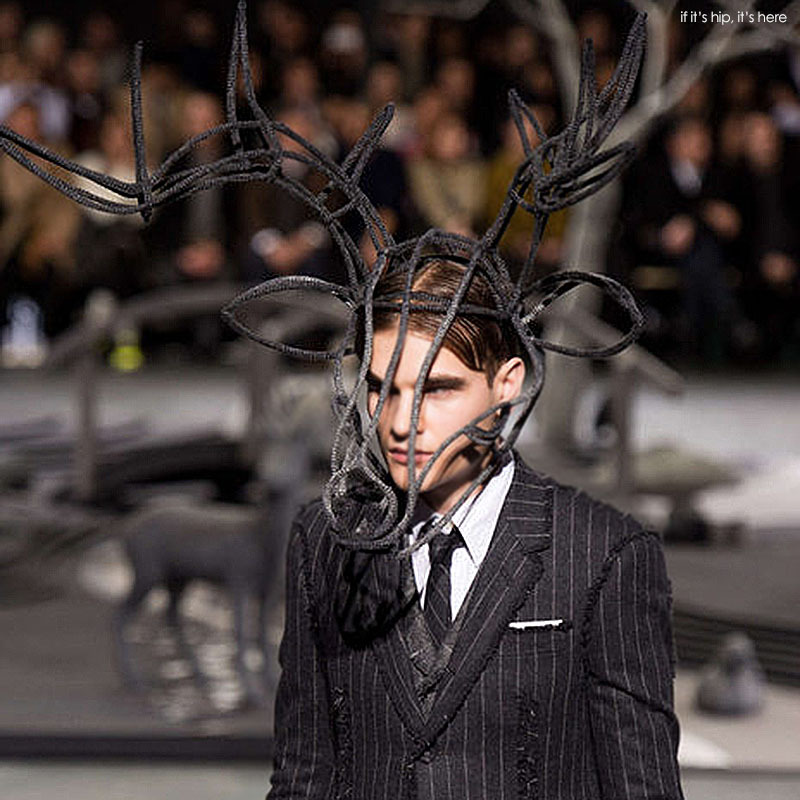 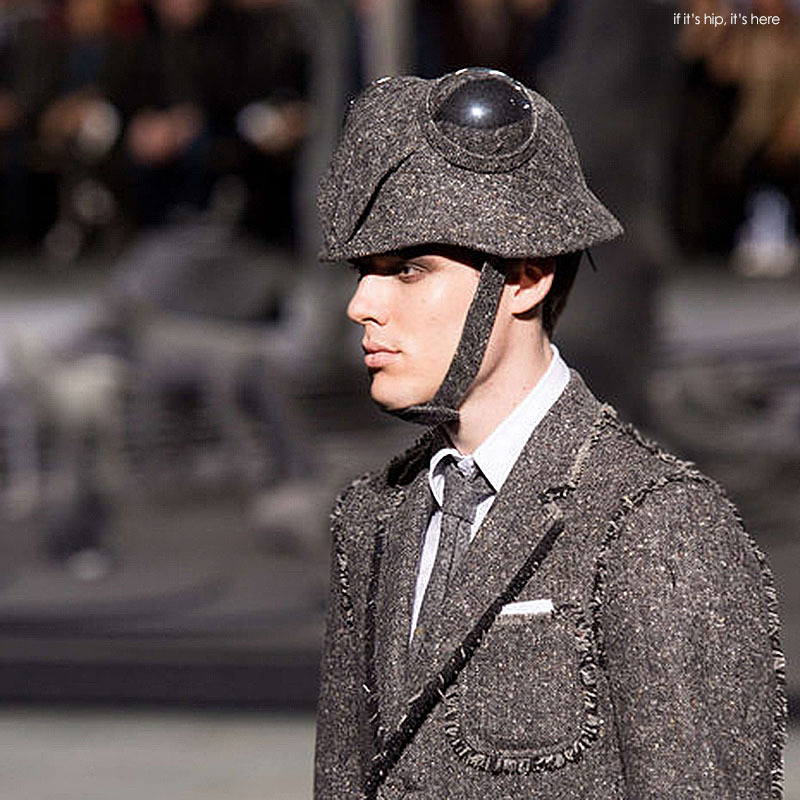 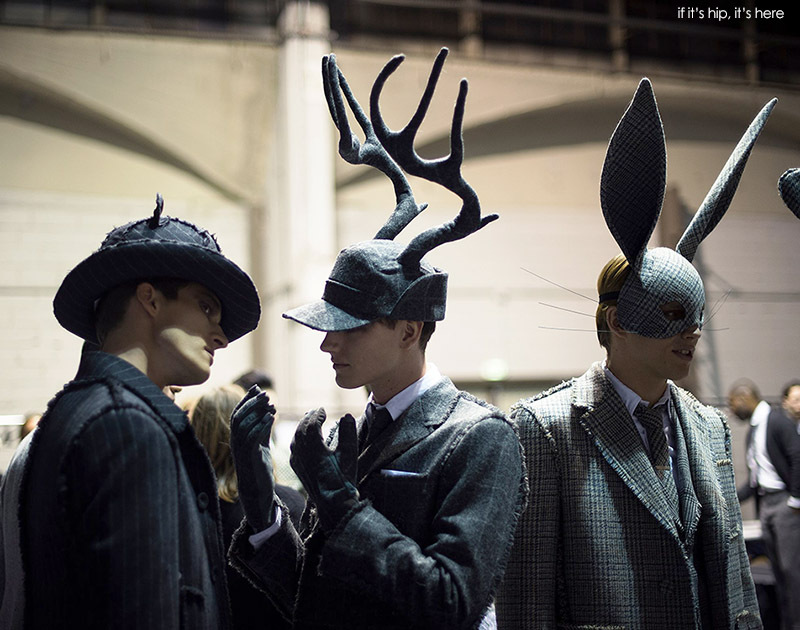 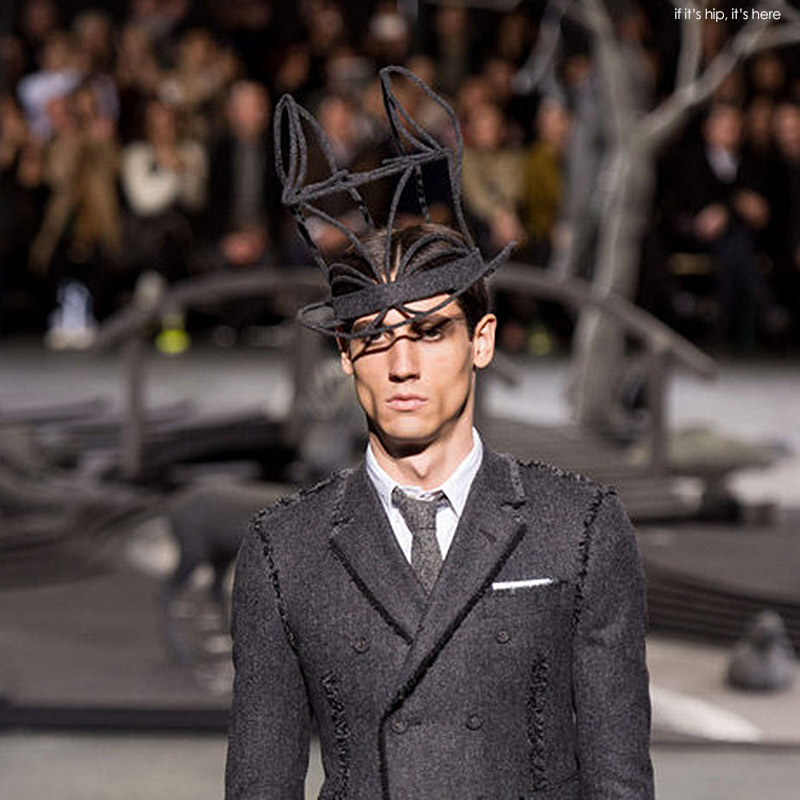 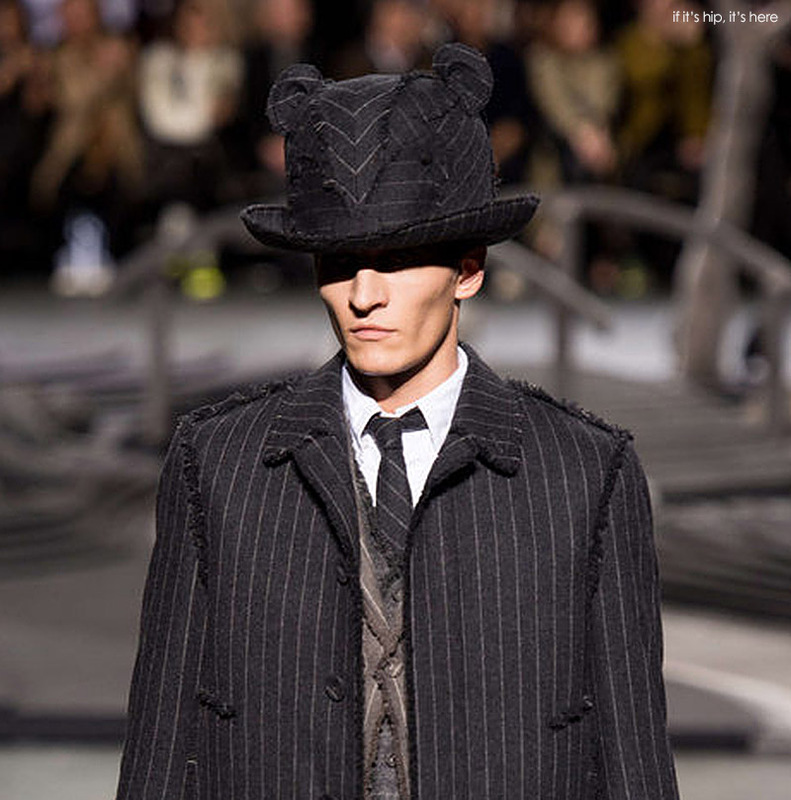 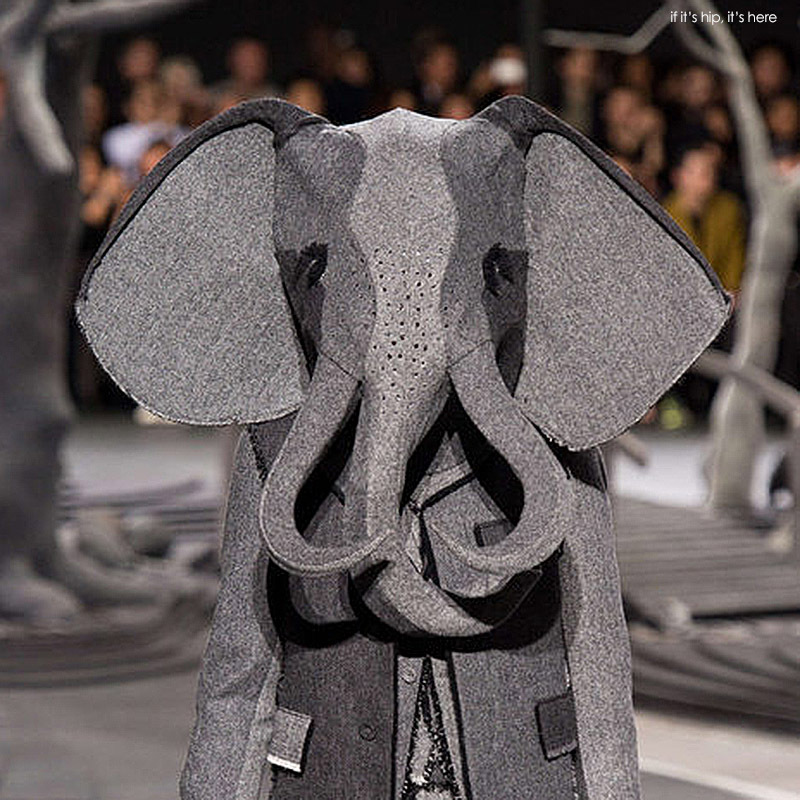 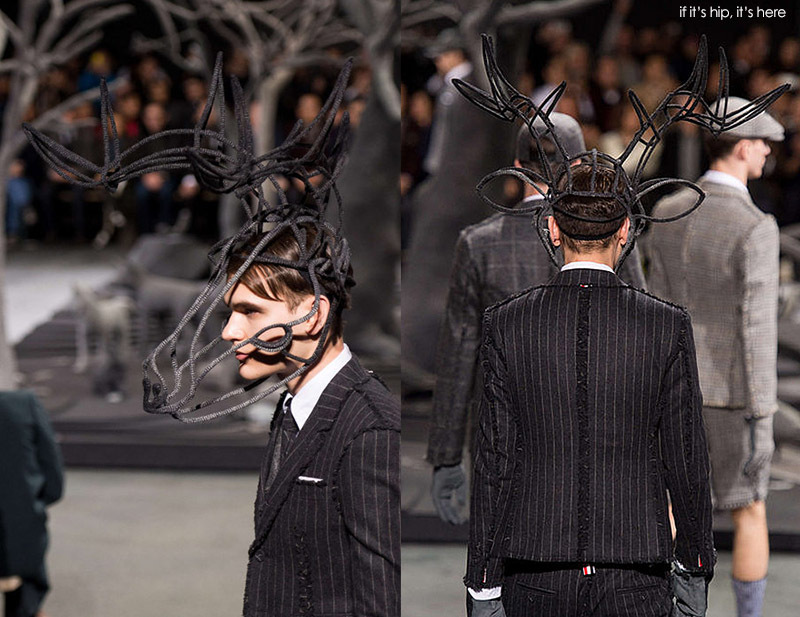 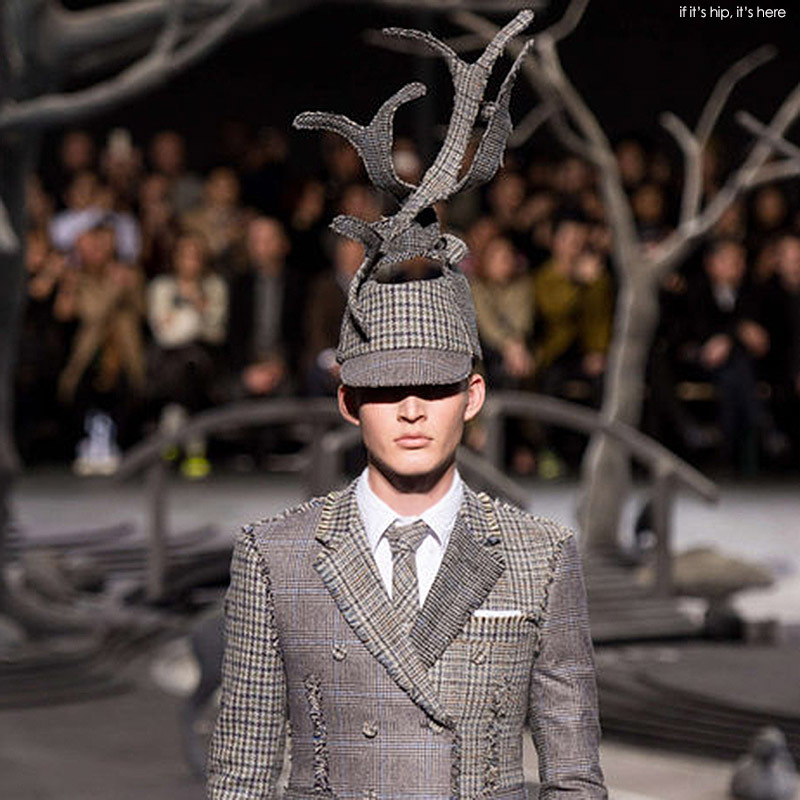 If It's Hip, It's Here (Archives): Hats Off To Thom Browne and Stephen Jones For Some Seriously Strange Headwear. 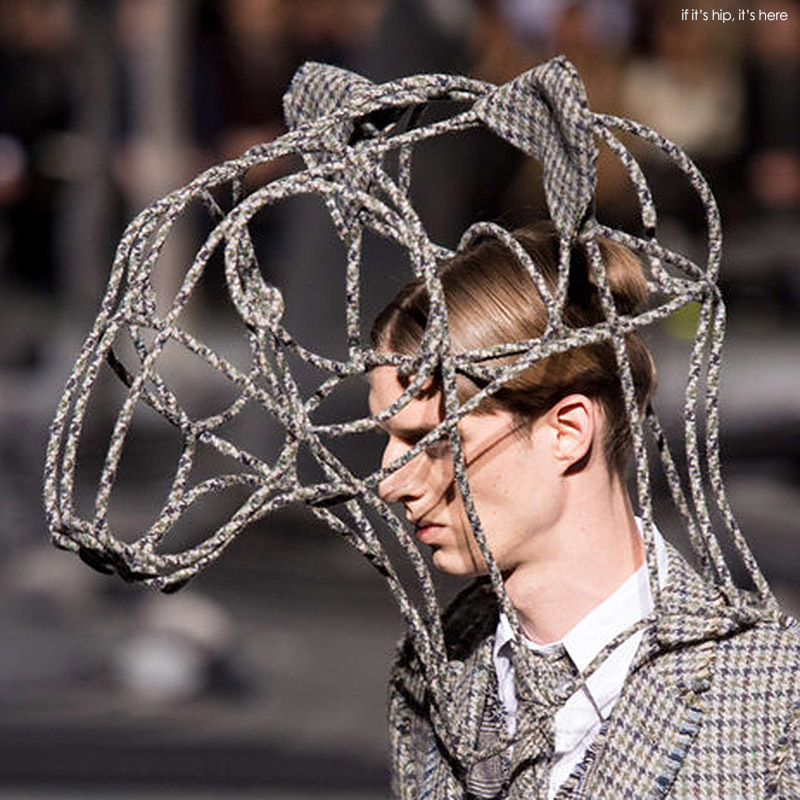 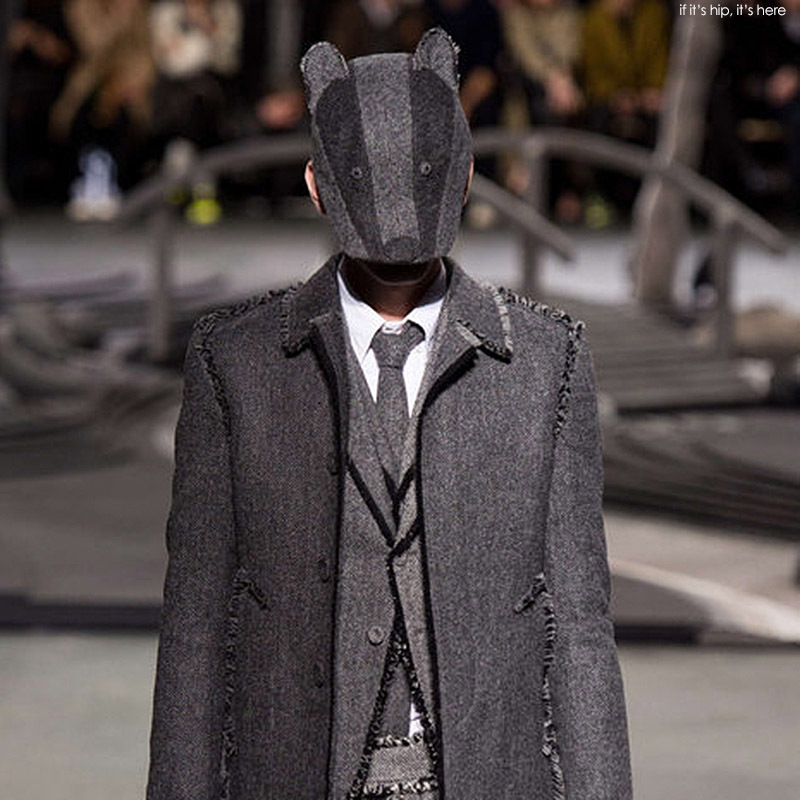 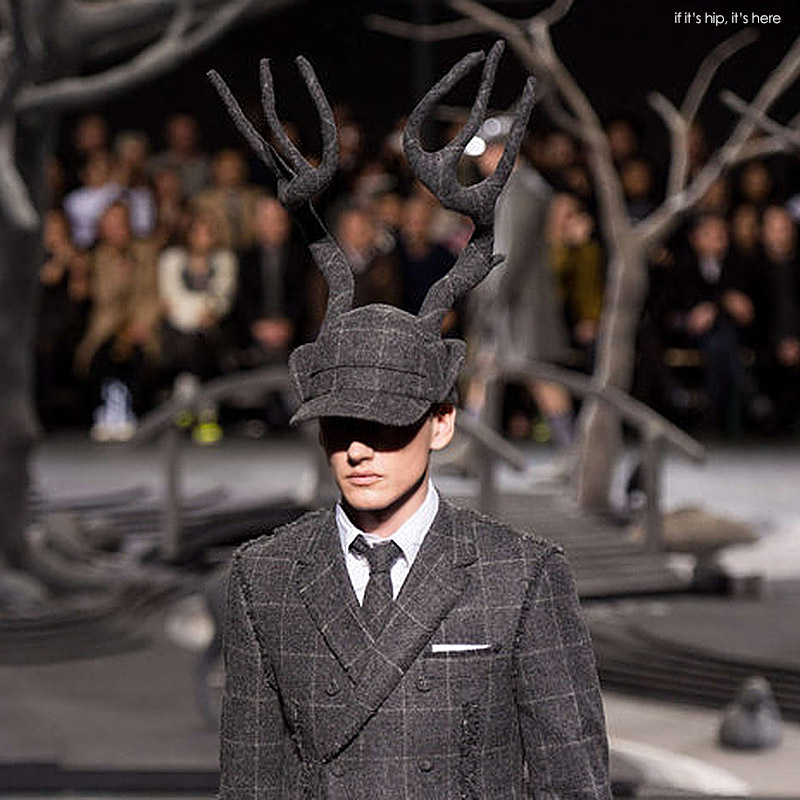 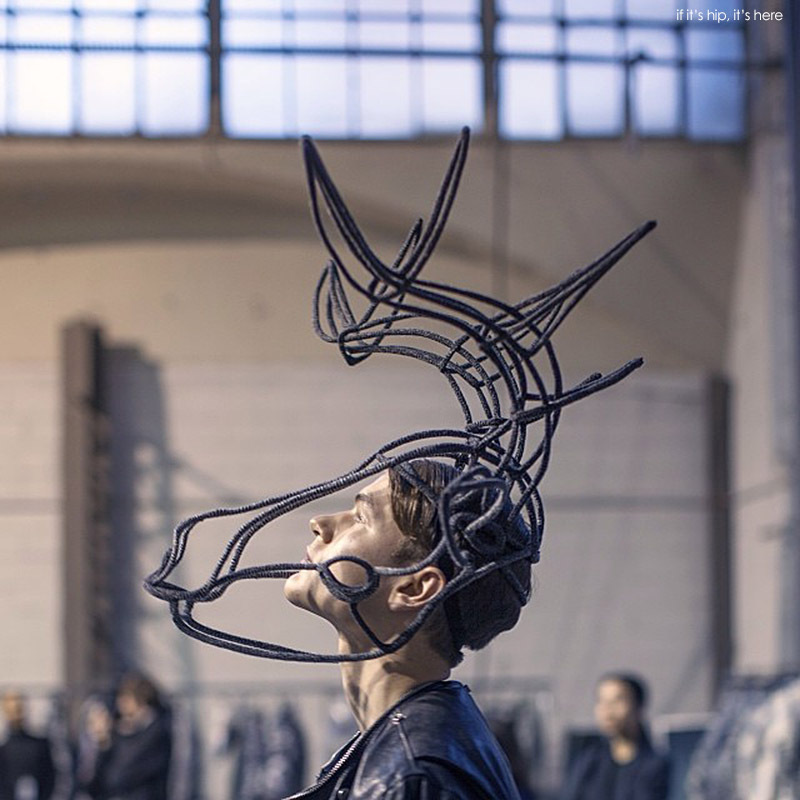 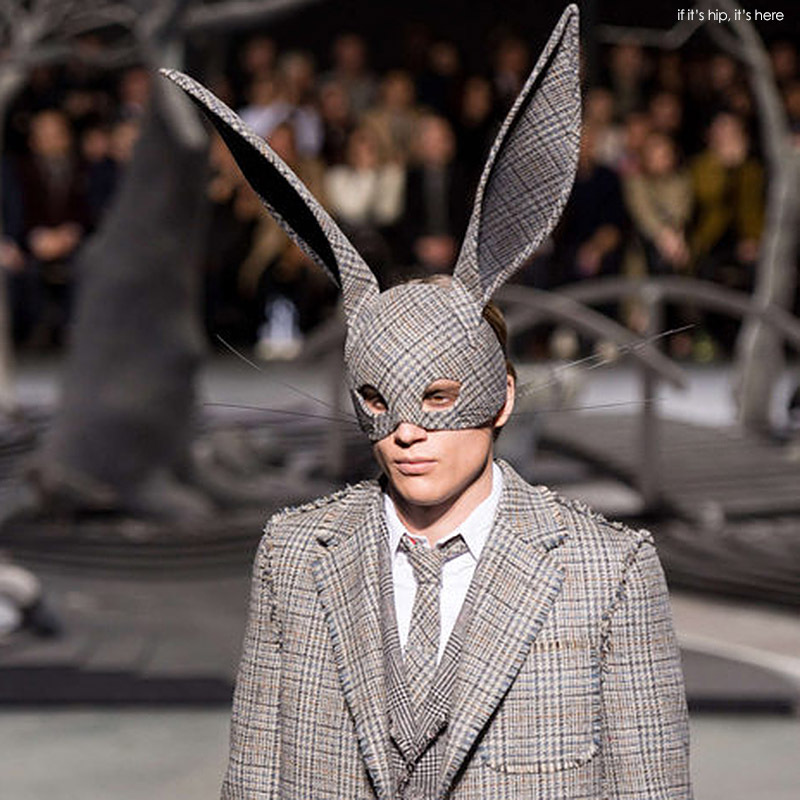 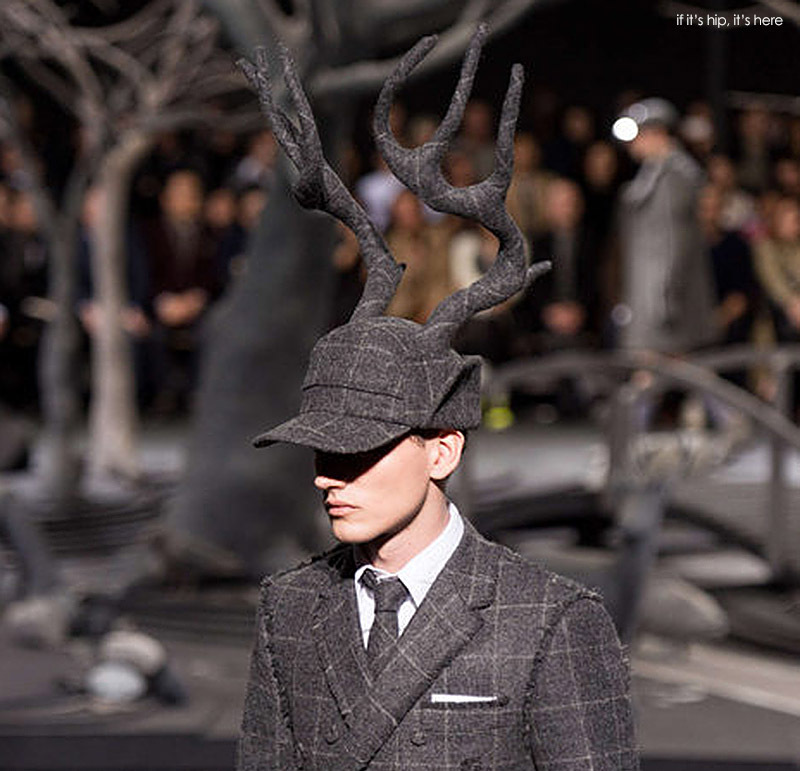 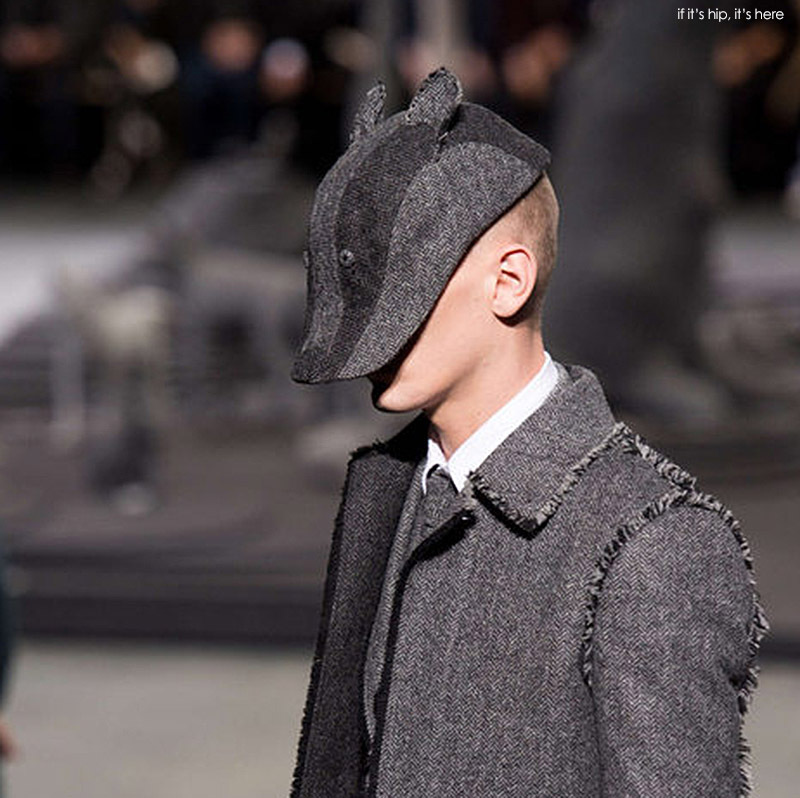 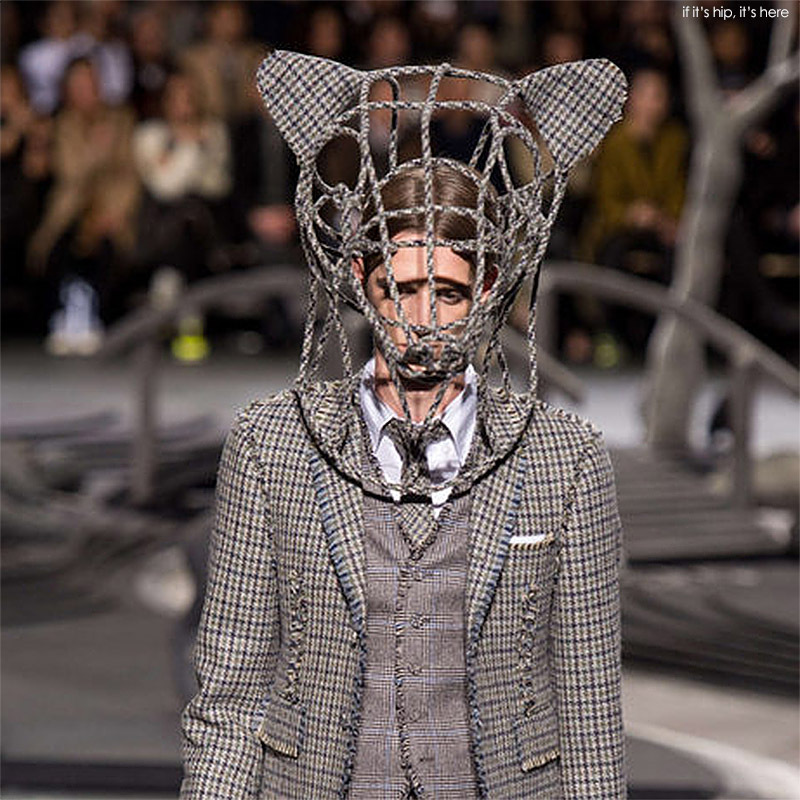 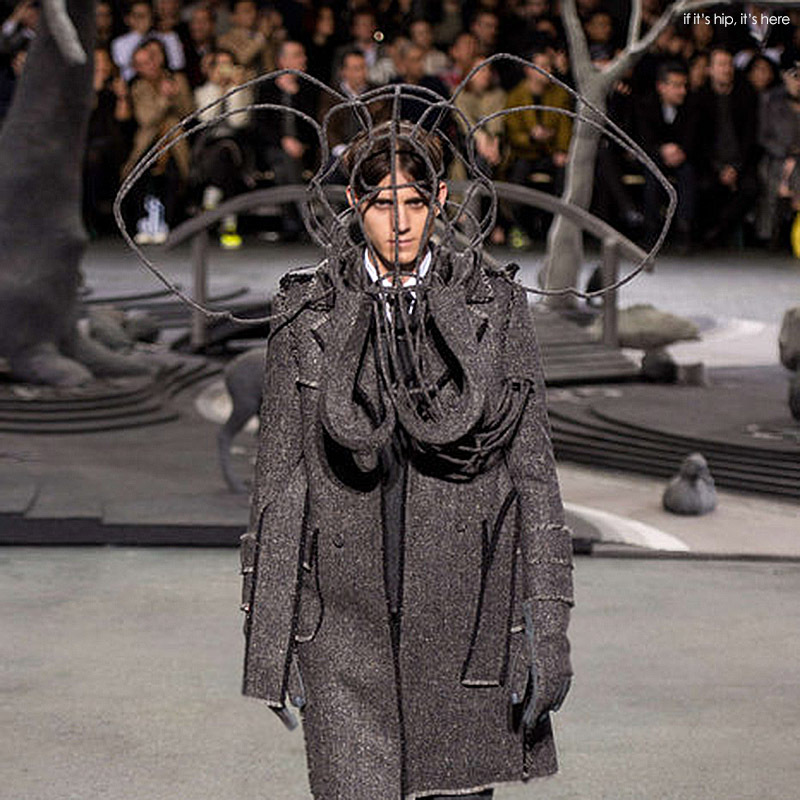 Hats Off To Thom Browne and Stephen Jones For Some Seriously Strange Headwear. 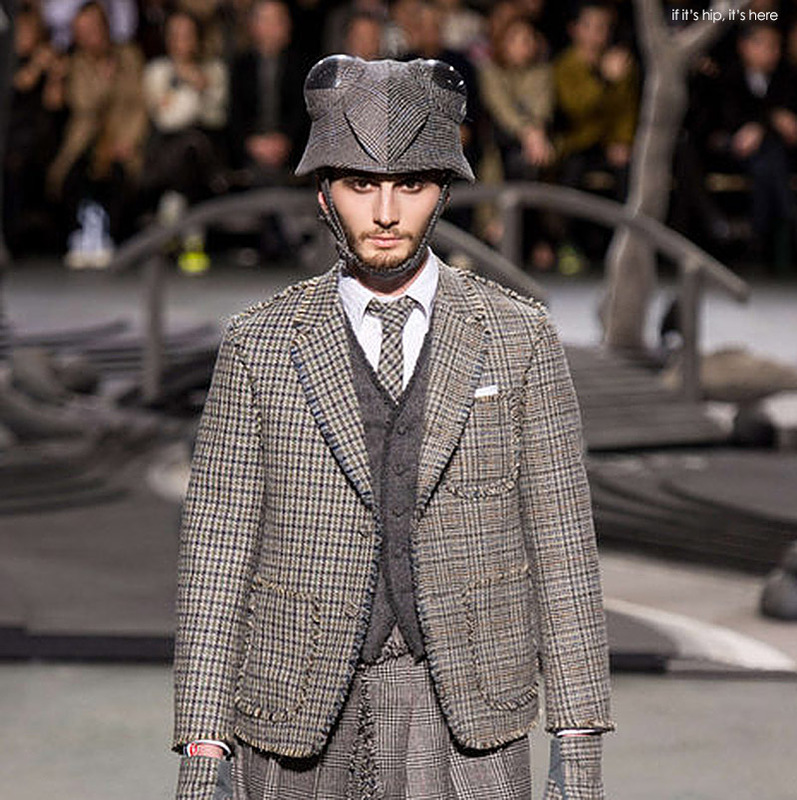 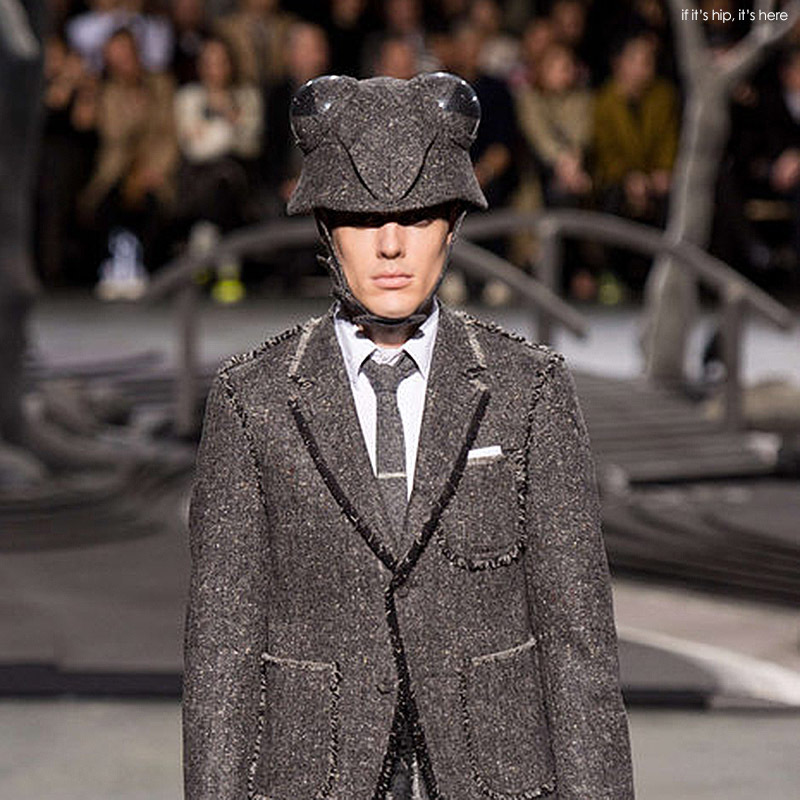 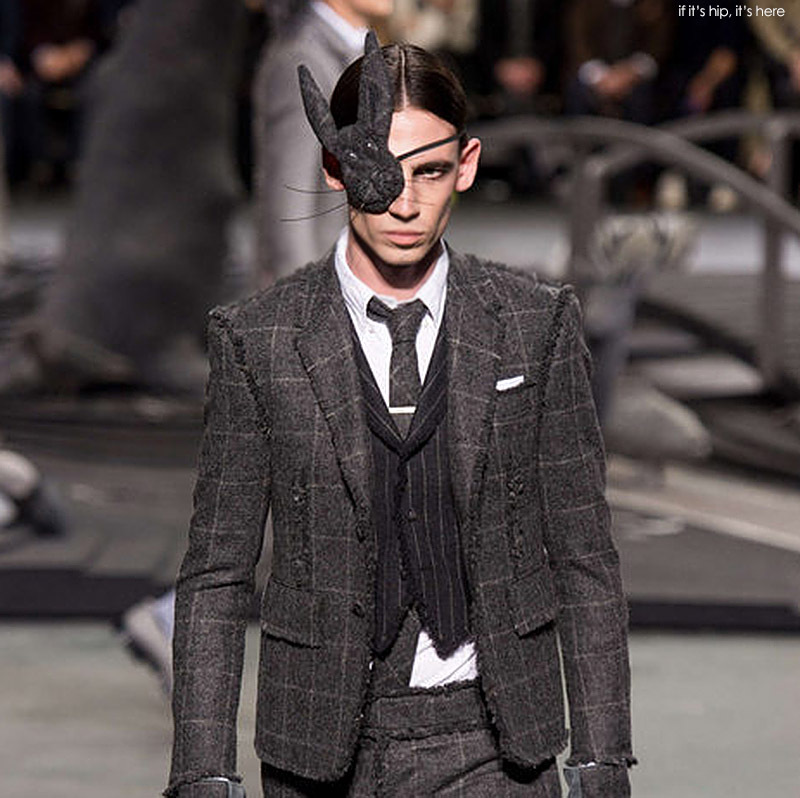 Thom Browne's menswear collection for Fall Winter 2014 is both sartorial and satirical, to say the least. 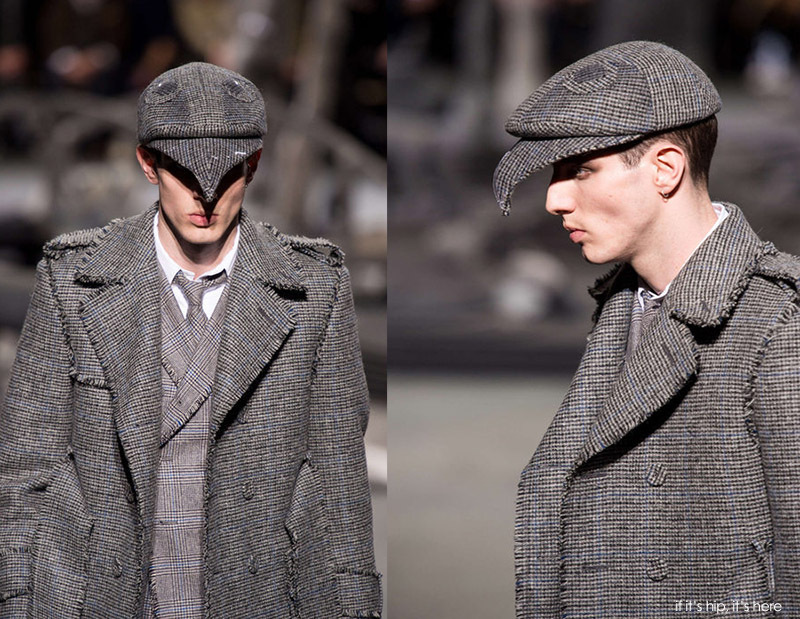 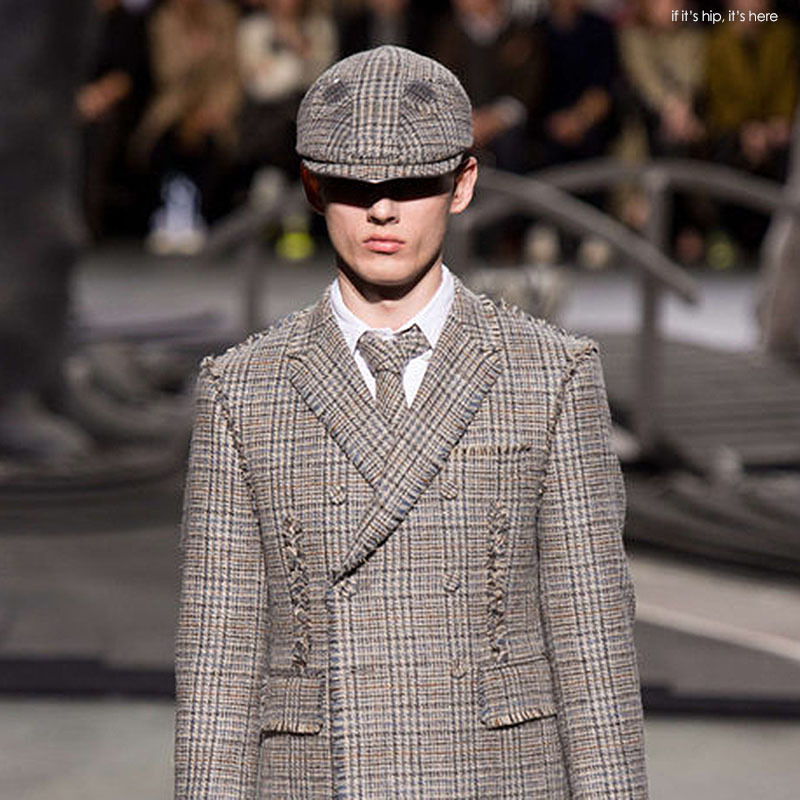 Ragged edge plaids, giant fat silhouette suits and autumnal leaf camo face make-up are topped off, literally, by unusual grey flannel and plaid hats and headgear in the shapes of animals. 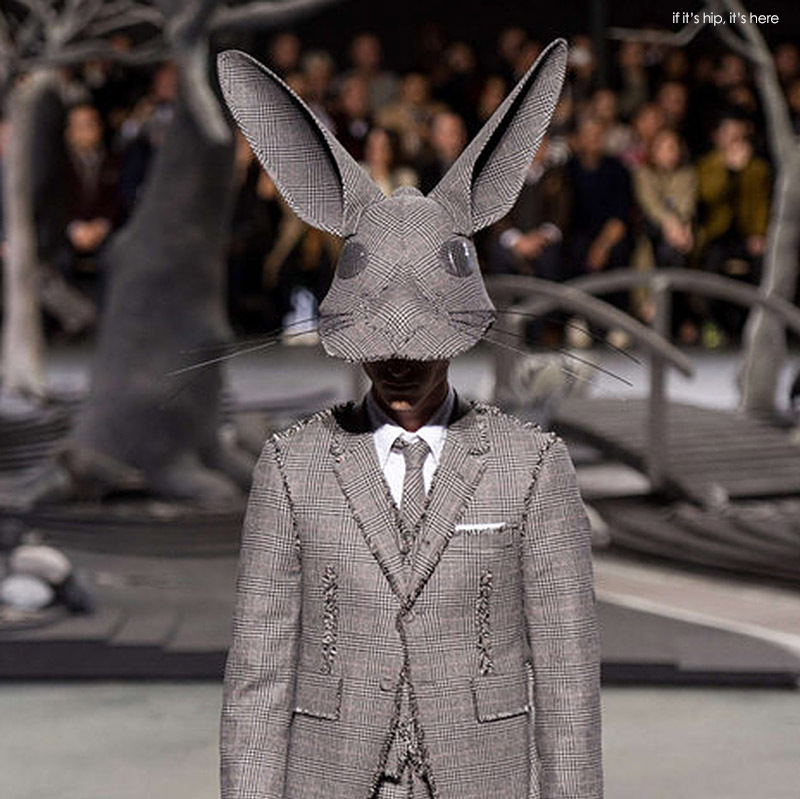 Rabbits as top hats, masks, caps and eyepatches, elephant heads, badger and frog caps, pinstripe bowlers as bears, hunting caps with antlers, driving caps with eyes and cage-like construction. 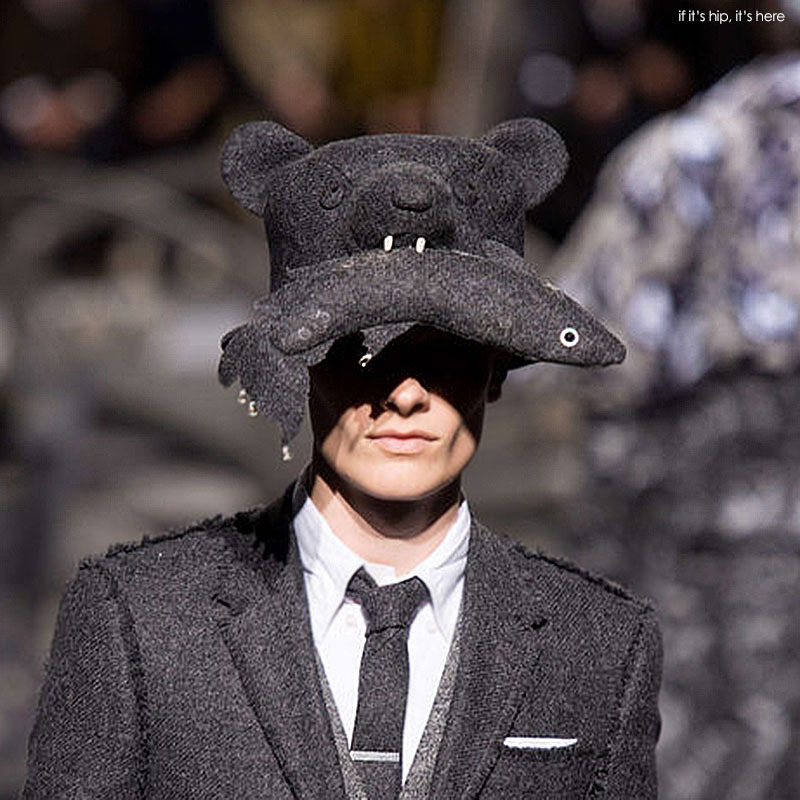 There's even a Bear with a salmon in its mouth as a hat. 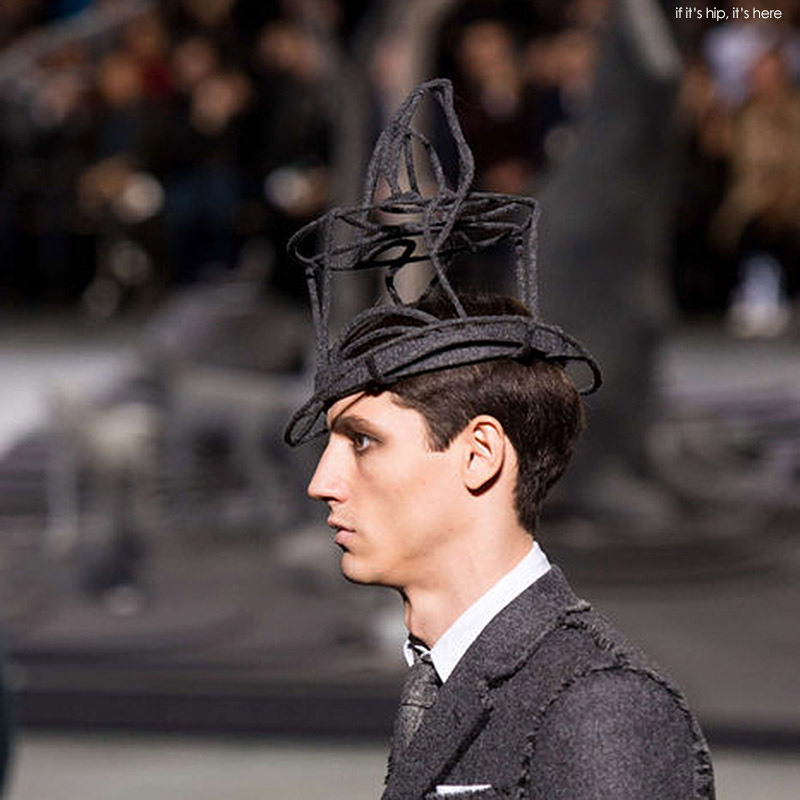 Designed by Browne, the hats were made with the help of well-known milliner Stephen Jones. 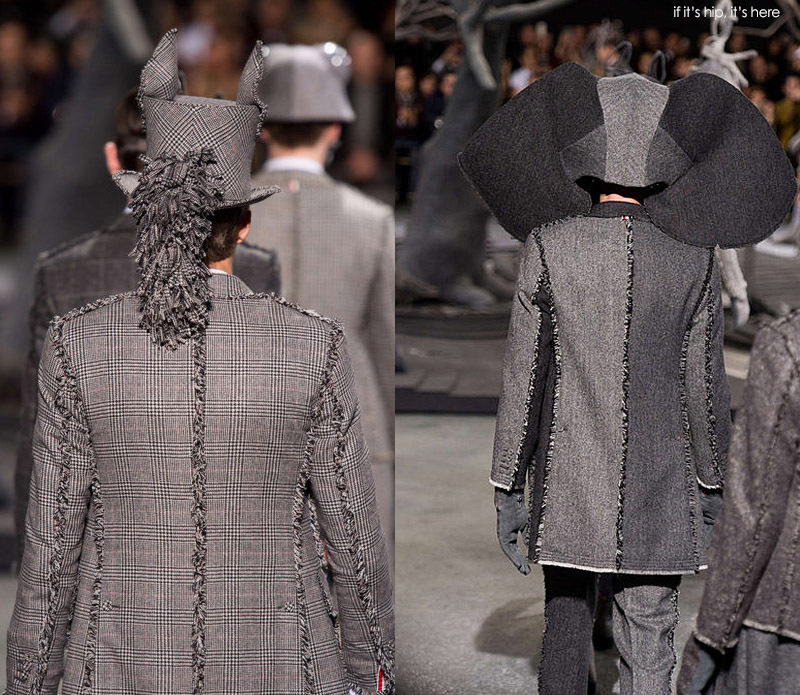 I do not believe the hats are available for purchase, but instead were designed to accompany the collection on the runway. 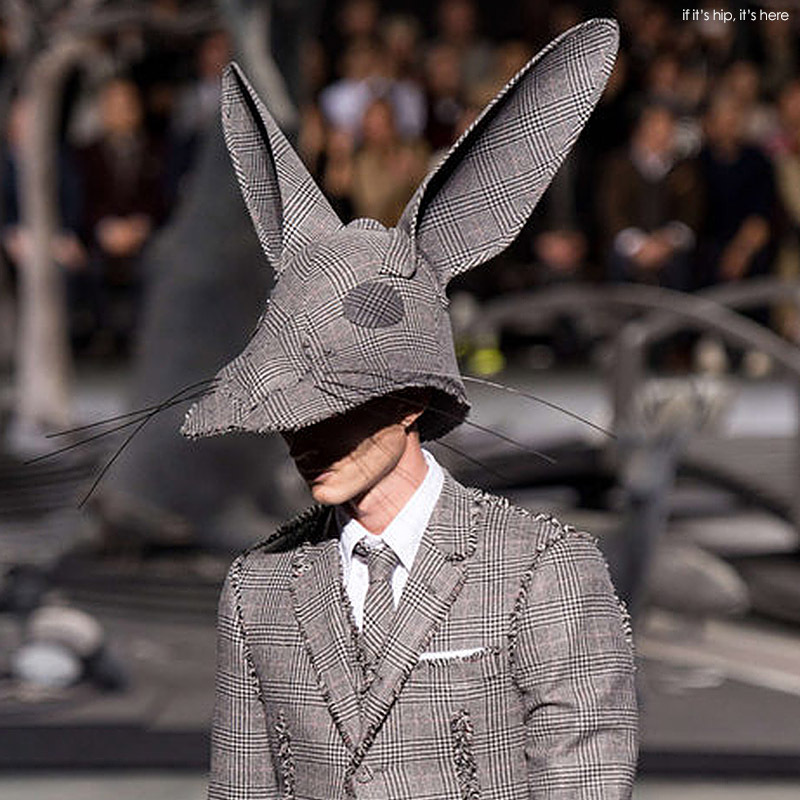 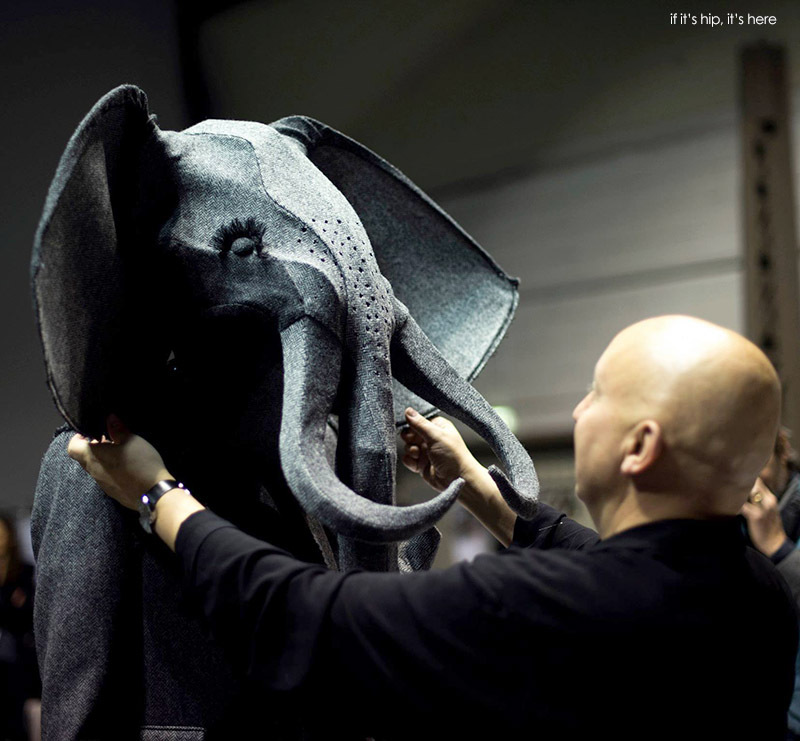 No words can do these imaginative animal hats justice, you just have to see them. 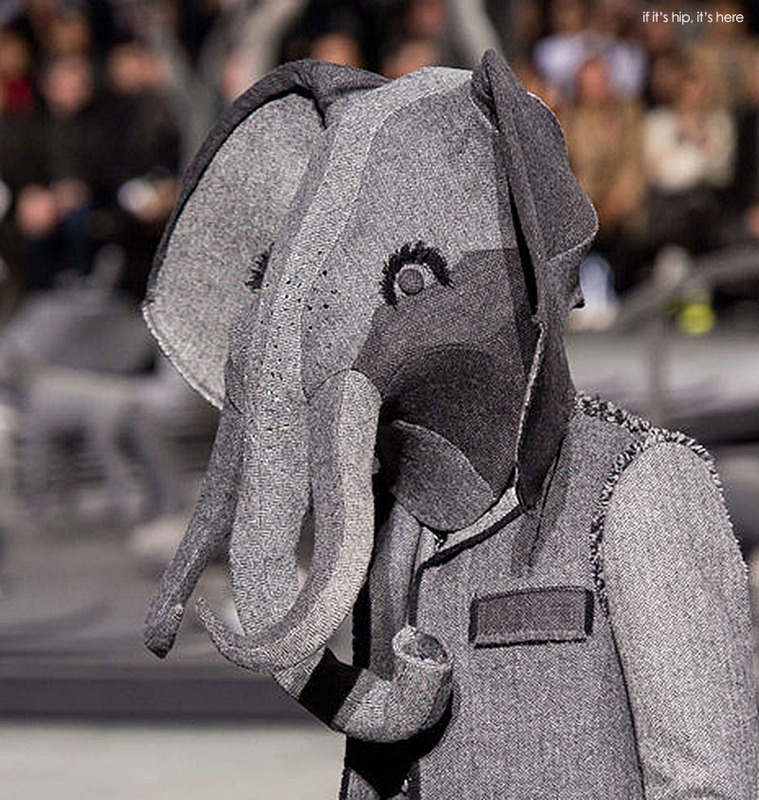 Oh wow! 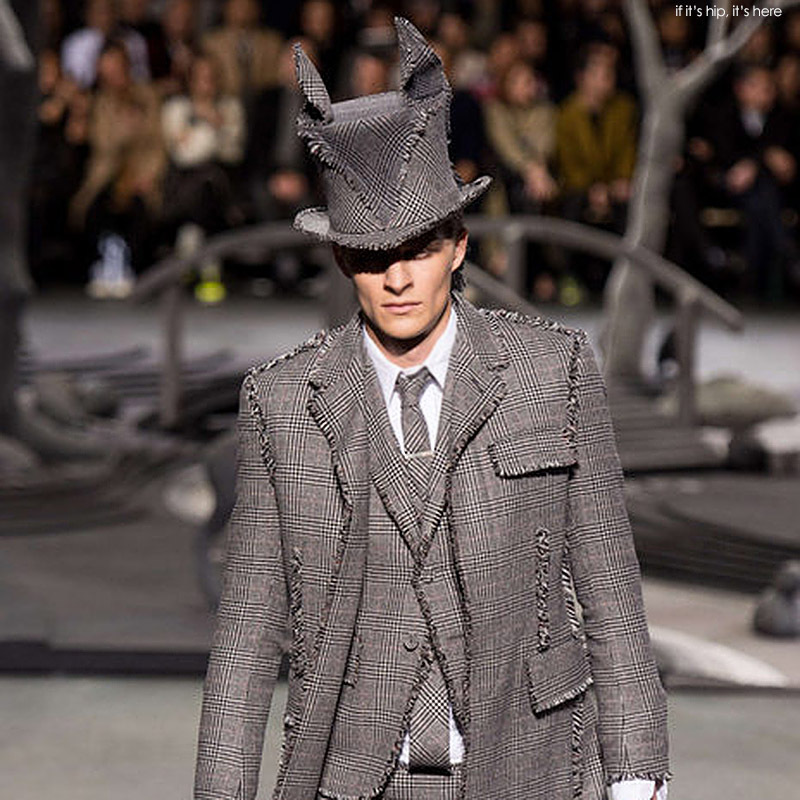 My my, I love it! 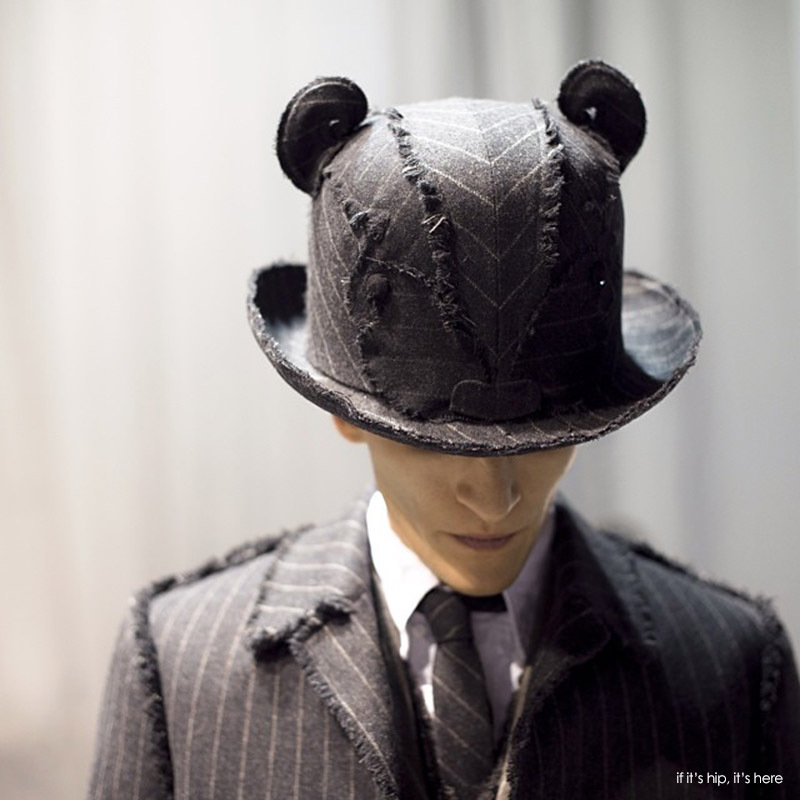 Beyond 11!